Well, we all know that solar energy is one of the cleanest sources of energy, with no risk of global warming emissions. However, you might be surprised to learn that there are emissions associated with different stages of the solar lifecycle. To begin with, it is important to understand the solar panel production process. It all begins with the mining and processing of the raw material. Quartz, silver, copper, and aluminum are involved in the mining process. Quartz then undergoes further processing with hazardous chemicals in high-temperature furnaces to produce electronic grade silicon. The major point of concern in the production process of silicon is the leftover silver content, which is considered a potential environmental hazard. The large-scale production of solar modules could amount to the depletion of silver resources. Not much has been done on this front. The disposal of the chemicals involved in the production depends on the manufacturer, raising serious questions about the environmental safety. While there are responsible solar manufacturers that choose to safely dispose of solar waste, there are others that aren’t too concerned about environmental safety and don’t hesitate to cut corners to save money. Such irresponsible acts by solar manufacturers can cause more environmental harm than good. The production of solar modules consumes a high amount of energy. Additionally, the resultant water and hazardous byproducts are released into the environment during the manufacturing process. The initial stages of the solar panel manufacturing process consume more energy compared to any other form of electricity production. The manufacturing process involves the transformation of raw mineral into usable photovoltaics. The different components involved in the processing, mining, production and cleaning of raw material may come from different facilities unlike conventional sources of energy production, where everything takes place at a single spot. Besides, during the manufacturing process, the heating of quartz requires a lot of upfront energy. This can quickly amount to energy loss. Like other conventional energy generation plants, some solar plants may require large amounts of water for cooling turbines and cleaning solar collectors. Increase in water demand could strain the available water resources. This may amount to the loss of large volumes of groundwater in arid locations, which may further impact the local wildlife that depends on these water resources. Besides, the use of chemicals, such as dust suppressants and dielectric fluids, may cause surface contamination or degradation of groundwater. The installation of solar panel farms requires clearing vast tracts of land, which could affect existing land uses, including agriculture, grazing, and mineral production. Clearing and grading of land may amount to habitat destruction and pose a risk of soil erosion and compaction. This may further interfere with the existing use of land and alteration of drainage channels. Unfortunately, habitat destruction for the wildlife could result in a large-scale displacement of wild species. There have been reports of numerous bird deaths in California’s Ivanpah Solar Generating System. Reports blame the deaths on the solar farm’s mirrors, claiming that heat reflected from them burned off the bird’s wings. The impact on one wildlife species can destroy the entire ecosystem since one species is dependent on another. When one is removed, the entire ecosystem of that species, comprised of plants, animals, birds, and marine life, can starve to death. The reason is that the habitat becomes less livable for the species that are dependent on each other for survival. The conservation of wildlife habitat and diversity is a major cause for concern among environmentalists. One area that needs greater attention is recycling of solar waste. Recycling is likely to become a major issue in the coming times, as solar waste can prove to be a big burden on the environment. Recycling technology for reusing silicon from solar cells is not in place yet, though research has been underway to prove that the manufacturing of a solar panel from recycled components consumes significantly less amount of energy than solar module production from scratch. Solar panel manufacturers need to delve deeper into the issue to mitigate the problem and focus on recycling. While the world sees a climate change fix in solar energy, there is a debate among environmentalists whether this form of energy is worth it. There are concerns about the rampant development of solar panel farms and its impact on the broader environment. A report published in the Journal of Environmental Research Letters, titled “Solar Park Microclimate and Vegetation Management Effects on Grassland Carbon Cycling”, claims that there could be severe temperature reductions beneath solar installations by as much as 5 degrees Celsius in the hot season. This could affect plant growth in the surrounding areas. However, a deeper understanding of the environmental impact of solar installations could enlighten farmers on microclimate changes and how to better utilize the vacant land under panels. Farmers may need to think deeper about choosing crops that can survive in low temperatures created by the shade of the solar panels. 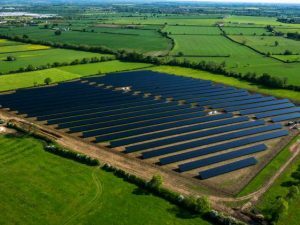 No doubt, although the large-scale development of solar panel farms can pose a danger to the local environment, the benefits of using solar power far outweigh the bad effects. Solar energy systems offer numerous environmental benefits compared to all other sources of energy, thus contributing to sustainable development. Solar power is still the cleanest energy source and is beneficial to the environment in more ways than one. A renewable energy resource system, such as solar energy, reduces the need for fossil fuels to fuel electricity generation, helping us watch our carbon footprint. 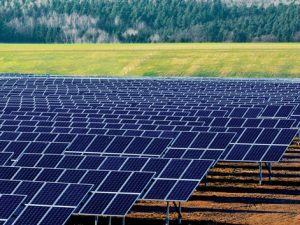 The need of the hour is to focus on proper planning and maintenance practices to minimize the adverse environmental effects associated with solar panel farms. After all, green energy is clean energy! impact on the enviorment.He should be doing the same thing with these solar farms. Exeter Rhode Island is a rural area being threatened by solar field development. Forests are clearcut and large fields obliterated for solar panels. Alternate sources of energy is a good thing but not at the expense of natural fields and woods. Profit is the primary motivation not environmental improvement. Alternate sources of energy can be developed in an environmentally responsible manner. Previous story Are solar panel paved roads efficient?